“Plastic pollution is a global challenge that does not respect borders — it litters our streets, accumulates in our landfills and contaminates our rivers and oceans.” So said Prime Minister Justin Trudeau in a statement issued earlier this month for World Environment Day. With social media campaigns like #StrawlessSummer and #BeatPlasticPollution picking up steam, and an increasing number of environmental groups demanding action from government and the private sector, the banning of single-use plastics is at the forefront of discussions on how to resolve the world’s plastic problem. Ahead of any meaningful policy action by the leaders of the developed world, some companies and communities are taking the initiative and going plastic-free. On June 7, American Express announced a collaboration with Parley, an American organization dedicated to combating marine plastic pollution, to create a new American Express card made primarily from recovered plastic debris found in the oceans and on coastlines. 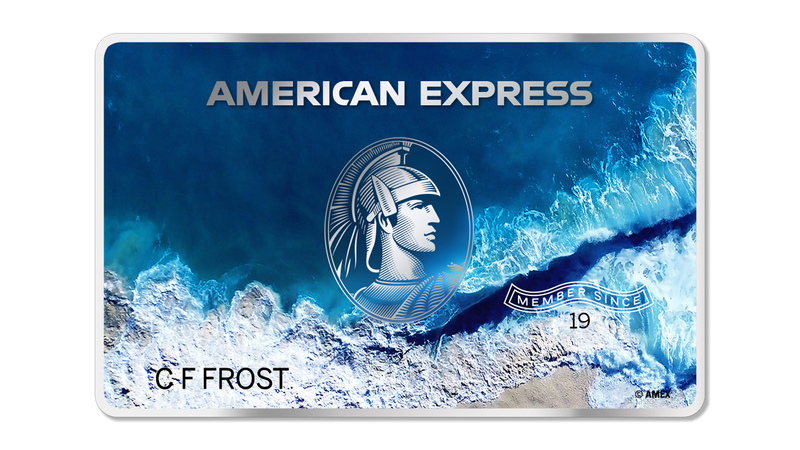 In addition to the new card (set to launch publicly within the next 12 months), American Express has pledged to follow Parley’s environmental philosophy by looking at ways to end the use of virgin plastic in its products and phase out single-use plastic straws and coffee stirrers in its major offices and sponsored airport lounges. On the same day as the American Express announcement, Ikea pledged to eliminate all single-use plastic products by 2020 across its 29 retail markets, including Ikea Canada locations. In addition, Ikea will design new home furnishings made only with renewable and recyclable materials, and will stop manufacturing and selling single-use plastic straws, plates, cups, freezer bags, garbage bags and plastic-coated paper plates and cups. Likewise, in Ikea restaurants and cafes, the company will eliminate the aforementioned single-use plastics and will increase the proportion of plant-based food choices (such as veggie dogs) in an effort to further reduce their emissions. Last May, when the European Union proposed banning all single-use plastic products, fast food companies were forced to take notice. McDonald’s began testing paper straw alternatives in Belgium and will soon begin rolling them out in the U.K. and Ireland, and in select restaurants in the U.S., France, Sweden and Norway. Burger King has said it will eliminate plastic straws in all 500 of its U.K. locations by September, effectively reducing its annual plastic output by 36 per cent. Rather than an outright ban on single-use plastics, Subway is choosing instead to focus on “optimizing its packaging, trays and napkins” with the eventual goal of creating packaging that is 100 per cent recyclable. And, in a first for a Canadian fast food chain, A&W Canada announced on June 8 that it will be banning plastic straws in all its locations, a move that will keep an estimated 82 million straws out of landfills each year. A&W’s replacement straw is one made from paper that can last up to three hours in a drink and will biodegrade in three to six months. As if you needed another reason to love Lego, the company has developed a new range of pieces manufactured from polyethylene plastic sourced from sugarcane rather than oil-based plastic. 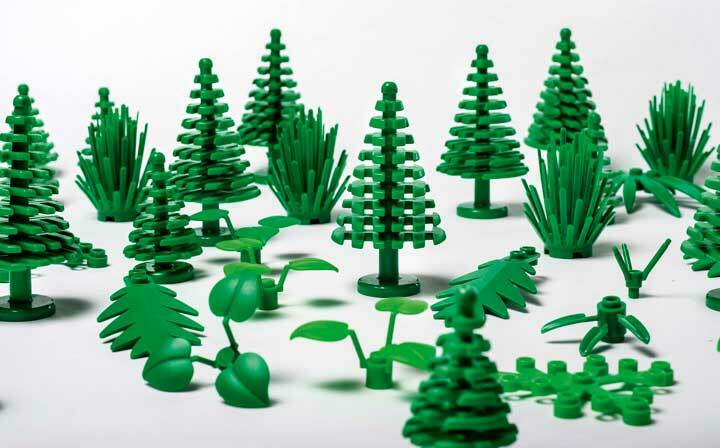 Fittingly, the products are part of Lego’s “botanical elements” line of soft and flexible leaves, bushes and trees. Although there are no immediate plans to change the hard plastic blocks synonymous with the Lego brand, the company previously announced it was setting aside $200 million for the research and development of sustainable toys. In 2007, the small mining town of Leaf Rapids, Man., became the first community in Canada to ban single-use plastic bags. Three years later, two more municipalities — Thompson, Man. and the Regional Municipality of Wood Buffalo in northeastern Alberta — followed suit, passing plastic bag bylaws of their own. In January of this year, Montreal made waves by becoming the first major Canadian city to implement its long-anticipated ban (the idea was first announced in February 2016) on plastic bags, including biodegradable bags, which release harmful gases as they decompose. Next week, Victoria will become the first West Coast city to prohibit businesses from providing customers with single-use plastic bags. And while Vancouver hasn’t banned plastic bags yet, it became the first city in Canada to ban single-use plastic straws as well as polystyrene foam takeout containers and cups this past May — although the ban won’t take full effect until June 2019. In the Maritimes, the Plastic Bag Reduction Act, a private member’s bill that passed its third reading this month, has the potential to make Prince Edward Island the first province to ban retailers’ use of plastic bags.